New Style Frames...Always thinking of new ideas!! I will soon be displaying all items in Crafter's Touch in Brandon. 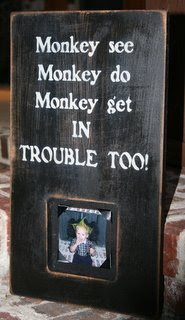 You can places orders at Crafter's Touch for custom signs or frames. Also, signs and frames available at Funky Monkey in Madison too!